This year Michelle adds ‘Art Bra Artist’ to her BCRC resume of client, volunteer and Art Bra Model! She was motivated to design an art bra that sparkles and honors the memory of Erin Reynolds, a close friend who had connected Michelle to the BCRC. “Alma Azul” is a labor of love by Michelle and several of her close friends who collaborated on purchasing the art bra materials and creating its design. 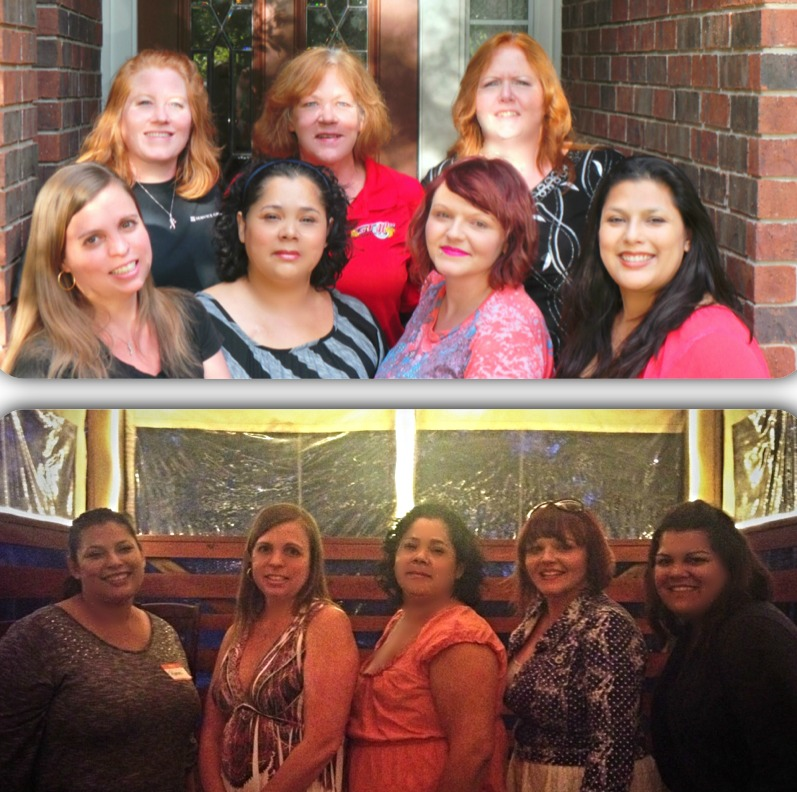 These amazing and supportive friends include Kat Cekaj, Marsha Cekaj, Renee Martinez, Joan Lenz, Dana Kindred, Jennifer Rhame, Lani Dame, Cammon Ross, Christie Ingalsbe, India Grazitt, Maria Martinez and Manuela Venegas. Michelle and her friends originally wanted to create an Art Bra that resembled a Fiery Phoenix, but she came across some blue sequins and just couldn’t resist! The corset was inspired by a wedding dress design sent to Michelle by her friend, Jackolynn Rambeau. 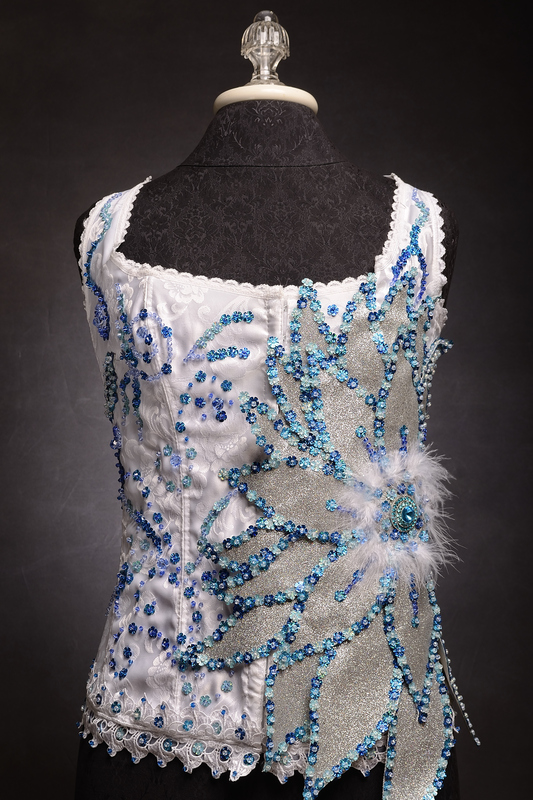 A radiant flower of blue and silver is the focal point for “Alma Azul,” meaning “blue soul.” The idea for the flower was actually inspired by Michelle’s Art Bra Austin costume in 2013 – it now appears full circle in this beautiful and intricate corset design.